Congratulations to all our amazing Larimer County child care and preschool providers in their Colorado Shines accomplishments! Larimer Awarded Early Childhood Workforce Innovation Grant! ECCLC is excited to be the backbone support for one of six partnerships across the state chosen to receive a Workforce Innovation Grant as part of the larger Transforming the Early Childhood Workforce in Colorado Initiative. These grants have been awarded for one year to help advance innovative solutions through one or more levers for change: Compensation, Targeted Recruitment, Education and Career Pathways, and Working Conditions. Projects were selected based upon their strong partnerships, flexible approaches to improvement, and willingness to tackle Colorado’s workforce challenges by testing innovative ideas that hold the promise for long-term, systemic and sustainable change. Training and coaching mentor teachers. Increasing cultural sensitivity within organizations to better support staff diversity. The Larimer Campus of Front Range Community College is developing a cohort model of 15 students who will finish their early childhood foundation certificate classes as a cohort while working half-time as assistant teachers in high quality early childhood programs, under the supervision of a mentor teacher. ECCLC will be working to establish a federally approved Early Childhood Apprenticeship program for high school students who are interested in entering the early childhood field. Partners include both Poudre and Thompson school district staff. Working with the business community to address systemic barriers to expanding access to quality child care through the newly formed Talent 2.0 Child Care Task Force (see article below). The Talent 2.0 Workforce Strategy, released last February, identifies common concerns for employers that become significant barriers to the recruitment and retention of talent. One of those barriers identified was a lack of child care options in Larimer County. The early childhood community has long been aware of the increasing shortage of child care options in Larimer County and how that affects employers in all industries across Larimer County, as parents cannot work when they do not have safe and stable care for their children. A collaboration of Be Ready, Directing Change and the Early Childhood Council of Larimer County wrote a white paper, A Workforce Strategy and Major Economic Driver: Child Care in Larimer County, to provide a brief overview of child care challenges for employers and families in Larimer County. The issues are complex, and solutions will require the joint effort of businesses, governmental agencies, educational institutions, and the early childhood sector. The white paper examines the cost of child care, the community capacity for child care and the “failed market” of child care. The white paper identifies a gap of more than 3,000 children between licensed child care capacity in Larimer County and the child care need. The child care collaboration proposed, and Talent 2.0 supported, joining forces with business and economic development leaders, forming an official task force of the Talent 2.0 Strategy to pursue solutions for Larimer County. The short-term task force will include representatives of the child care community as well as the business community and will work together to better understand this workforce barrier while evaluating possible solutions. National Child Care Provider Appreciation Day is Friday, May 11th! Check out and share our Instagram and Facebook posts, share your own stories on how you or those in your life have depended on child care, and remember to show your appreciation for the amazing child care providers we all depend on! Do you have a healthy home? Not sure? Sign-up for a Healthy Homes assessment today to learn more about how you can improve the indoor air quality and safety of your home. The City of Fort Collins Healthy Homes program wants to help identify the presence of biological pollutants, chemical contaminants and safety hazards in your home by offering a free, comprehensive assessment to evaluate your home’s indoor air quality. Included with each assessment is a free radon test kit, carbon monoxide detector, and smoke alarm. For more information, please visit the City of Fort Collins Healthy Homes Program. The Healthy Homes program is also excited to announce the new Healthy Homes Do-It-Yourself app that you can use to conduct your own home indoor air quality assessment. Try it out at https://healthyhomes.fcgov.com/. Leap is sponsoring 2 upcoming Community Conversations on Pregnancy Related Depression and Building Personal & Staff Resilience. These events are currently at capacity, but you may contact Bonnie at [email protected] to get on the wait list. Stay tuned for the Fall Conversations calendar. The Loveland Be Ready Family Fair was held on Saturday, March 24th at the Loveland Public Library. 115 families attended (176 adults and 208 children), which was a successful growth from last year (85 families). The first Estes Park Be Ready Family Fair was held on Saturday, April 7th at the Estes Park Elementary School. 140 parents and children attended and each child received a free backpack. 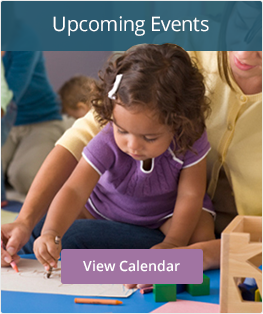 This training helps ECE professionals become familiar with their role in monitoring child development, learn about community resources, learn how to better share concerns with families, and know when and how to make a referral for additional support. During this training, we will learn about effective observation, the essential domains of learning, discuss strategies of how to align these domains with lesson planning, and create a weekly plan that you can take with you and implement immediately into your classroom environment.